The state is one step closer towards repealing the law that mandates a minimum salary schedule for teachers -- opening the door to a merit-based pay system. State law spells out the minimum a teacher should get paid and then creates a salary schedule throughout that teacher’s career. 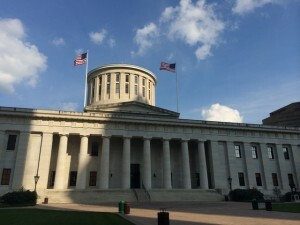 A bill passed by the House Education committee gets rid of that specific schedule, and instead requires local school districts to come up with their own systems. Republican State Rep. Gerald Stebelton of Lancaster is the chair. Stebelton said it’s time to revamp Ohio’s schools and allow for systems that reward good teachers. “We need to face the reality that there are teachers that are less qualified than other teachers,” he said. “They’re not as well-trained, they’re not as good in teaching. And having the same salary schedule for a second grade teacher who is not a good teacher and the one who is an excellent teacher is not fair to the one who is an excellent teacher. Scott DiMauro with the Ohio Education Association, the state’s largest teachers union, disagreed. “Ohio needs to focus on ways to pay committed educators more, not make it easier to pay them less,” he said. DiMauro said teachers must be able to depend on each other and work together, a relationship that he said doesn’t grow if teachers are pitted against each other for raises. But supporters of the bill, including Republican State Rep. Andrew Brenner of Powell, believe that getting rid of the current pay standards will mean good things for teachers. Opponents of the bill sparred with Republican backers during the committee hearing. Hayes said there are many variables in play while judging a teacher’s performance. He used the example of a student who was dumped right before taking a test. Hayes also expressed frustration at the timing of the provision. The change was thrown into an existing House bill last week after it already received six hearings. It passed out of committee along party lines. The bill is expected to go before the entire House for a floor vote this week.